At least 22 dead at the hands of militants at Bacha Kahn University in Charsadda, Pakistan. This does not bode well for peace in 2016, because the current Pallas-Pluto conjunction is, in theory, pretty much over. Which suggests that the parallel declination which we have between Saturn (sign co-ruler of Pallas for most of the year) and Pluto may be enough in itself to allow large-scale violence to erupt. We'll have a better idea once retrograding Mercury is out of the way. 1. Pallas widely conjunct Pluto via stellium, Pallas ruler Saturn parallel Pluto. 2. Venus square the Nodes. 4. 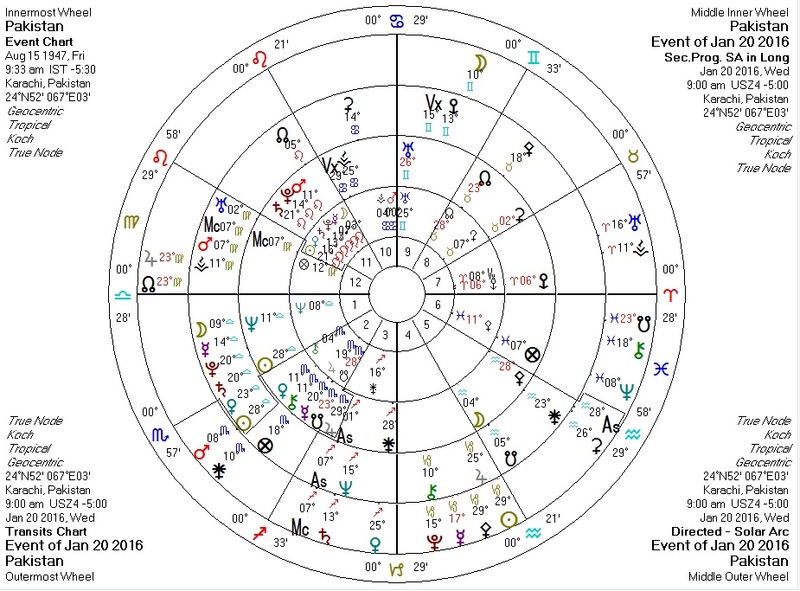 Moon/Fourth-House ruler Mercury conjunct Pluto. 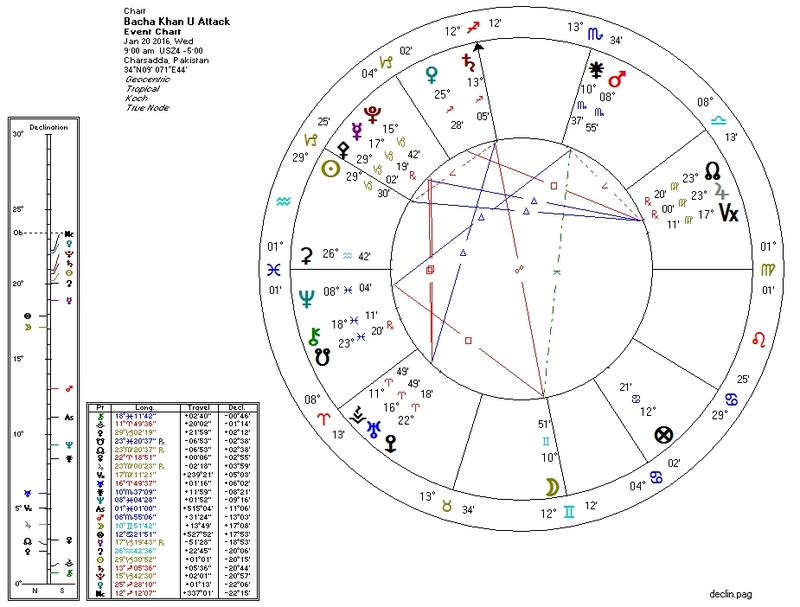 There is (again) a Pluto-to-Pallas transit against the chart of Pakistan, with transiting Pluto sextile Pakistan's Pallas, semisquare progressed Pallas, and trine solar arc Pallas. When Pluto weakens or nullifies discrimination and ethics (ruled by Pallas), bad judgment and/or violence are often not far behind.